Included in many hair and skin care products as a preservative, Tetrasodium EDTA has become a common ingredient in the personal care industry. However, though this ingredient is well known for its ability to prevent the growth of mold and deterioration of other ingredients, some skin experts have voiced concerns about this chemical. For example, some claim that Tetrasodium EDTA may potentially cause cancer, and even reproductive problems in high doses. This can certainly cause alarm among many consumers, as chemicals like this are sometimes difficult to spot in an ingredient list, especially if one simply skims the chemical names. 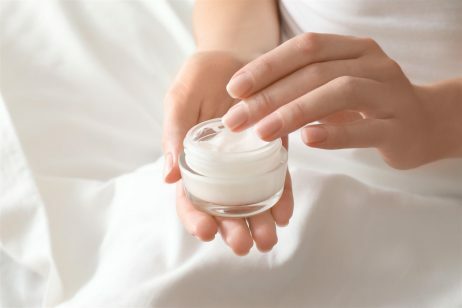 With Tetrasodium EDTA being included in many skin creams, body lotions and shower products, it is important to consider this ingredient carefully before making a potentially dangerous product purchase. The main goal behind using Tetrasodium EDTA in a skin care formulation is to prevent the growth of mold and development of rancidity. This ingredient is created from component chemicals; formaldehyde, sodium cyanide, and ethylenediamine. Tetrasodium EDTA works by neutralizing meta ions, which can often cause skin products to go bad. However, these same properties are believed to cause healthcare problems with long term use and high dosage exposure, because although it can be effective for keeping skin care formulas safe, neutralizing the naturally-occurring ions in the body can disrupt normal body function. Besides its uses as a preservative, Tetrasodium EDTA is also valued in skin care applications because of its ability to weaken the natural skin barrier and allow deeper penetration by other ingredients. This quality can be especially useful in boosting the effectiveness of certain products, by allowing the active ingredients to penetrate deeply, thus producing a more meaningful effect. However, it’s important to note that Tetrasodium EDTA’s ability to weaken the skin barrier is a double-edged sword. For example, depending on the specific formulation where it is used, this chemical may allow other potentially dangerous ingredients and preservatives to enter the body. With long term use, this can contribute to health concerns like skin cancer. In addition to being formulated into skin care products, versions of Tetrasodium EDTA are also used in textile manufacturing and even some foods. It can be somewhat confusing to realize that a potential carcinogen is included in foods and other consumables. 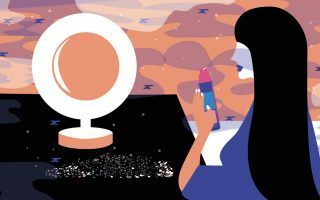 However, for many skin care product manufacturers the use of this chemical seems to be a tradeoff equation, where the benefits outweigh the risks. For example, although using Tetrasodium EDTA may cause skin irritation and a variety of other health problems (especially with long term use), it can outweigh the danger of using a moldy or rancid product. This is important since many individuals may not be able to easily identify mold or bacterial growth in their creams, especially during early stages. Unfortunately, such a development could lead to infection and a slew of other health complications if mold or bacteria make it inside the body. In some cases, this can lead to severe illness that can result in headaches, vomiting, and even death. Therefore, when considering the potential dangers of using Tetrasodium EDTA in skin care formulas, versus the potential dangers of acquiring an illness from bacteria or mold, the former may simply be a safer bet. Tetrasodium EDTA is formulated into many products, including face creams, shower gels, hair care products, and many other personal care items where the formulas can potentially become degraded through growth of mold. This chemical is even included in food items, though it’s more difficult to identify in such cases. Tetrasodium EDTA side effects include a number of potential problems. In some individuals, this chemical has been known to cause skin irritation. Other studies suggest that Tetrasodium EDTA may contribute to the development of cancer. Unfortunately, many companies that claim to make natural skin care products will still use this chemical. This is an interesting development that initially may seem like nonsense. Why would a skin care manufacturer use a synthetic chemical like Tetrasodium EDTA in their formulation, if they believe in using natural ingredients? The answer may come from the skin care industry simply becoming used to certain ingredients. For example, many brands still formulate their products with excessive amounts of alcohol, fragrance and coloring. This may seem counter-intuitive, because alcohol can dry out the skin, and the latter two ingredients are known for causing irritation. However, the industry has simply become accustomed to it, since pretty much everyone seems to do it. Thus, Tetrasodium EDTA seems to be used in much the same way, where most companies simply use it because it’s the norm. Although Tetrasodium EDTA is a widely used preservative, some companies have started to rely more heavily on vitamin E, which is a natural preservative.